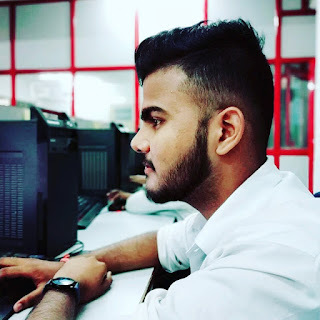 Home» Security Tips | WhatsApp Tricks » How to protect yourself from sharing your WhatsApp Information with Facebook? 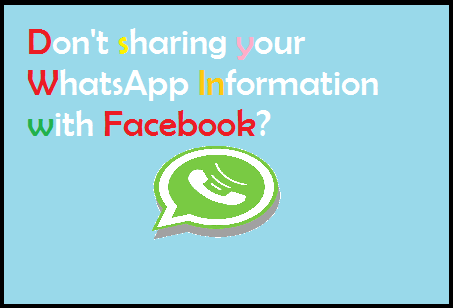 How to protect yourself from sharing your WhatsApp Information with Facebook? Hi Friends, Just a few days before, WhatsApp has created a new policy, according to which your WhatsApp Information has been shared with Facebook. And so all your WhatsApp Data will be shared with Facebook. You must know that Facebook had purchased WhatsApp two years ago. After that, Facebook has got its full rights and now they can make any policy with it. However, while purchasing WhatsApp, the CEO had said that nothing will change with it but now this new policy is a matter of concern for us as WhatsApp is now going to share all your data with Facebook. According to this policy, WhatsApp is now going to share all the user's mobile number with Facebook. Whichever cleansing says WhatsApp, it will help to show the ads appearing on Facebook correctly. That is, the right advertising will reach the right people, which will benefit both the customer and the businessman. How To Disable Someone's WiFi Internet Connection From Android Phone? How To Know Who View My Whatsap Profile / Dp ? How To Hack Your Friend's Whatsapp Account? & How To Secure Your Whatsapp? So let's know that save your own WhatsApp Information from sharing with Facebook! Whatsapp will update the updated information about the new rules of service. Do not accept it. When you open the app, you will see a page. You will be asked if you agree with the new conditions. First of all WhatsApp will now show you a policy that will be seen as soon as you open WhatsApp. If you have not come to this before, then you will get it soon, in which you will be asked for your consent by telling you some policy. If you have not yet found this policy and have been able to go ahead, you do not have to agree. This means that when the policy comes into your mobile, then Step-by-Step information is given to you about what to do. Step1; First click on Read More at the bottom. Step2; After that you will see a page like the screenshot of the bottom, now at the bottom you will be asked if you agree to share your number? The box in which the box will already be checked will uncheck it and click on Agree. Step3; In this way you will avoid sharing your number with Facebook. If you have already agreed to this, that means you have clicked the Agree button without unchecking the box, then ? So there are ways to do this, and it is that even after this, WhatsApp gives you 30 days of the time in which you can change it. That means you still have the option of not sharing the number. Step1; First, go to Settings in WhatsApp and then click Account. Step2; After that, find Share My Account Info. Step3; Now you will see there uncheck the check option already there. In this way, even after you agree, you can avoid sharing this mobile number with Facebook. Note: WhatsApp can still use your information for other things, but now it can not share your Mobile Number and Data with Facebook. So friends, with this easy WhatsApp Tricks can avoid sharing your Mobile Number with Facebook.